This picture shows a 1927 version. 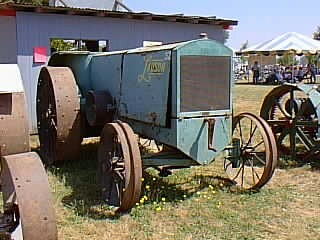 It featured a Beaver four-cylinder vertical, valve-in-head engine that was rated at 1,040 RPM. It was produced by the John Lauson Mfg. Co. of New Holstein, Wisconsin.